The 451 Take: With Hybrid environments becoming a reality, a holistic approach to both managing access to resources and addressing threats (internal and external) is a requirement. 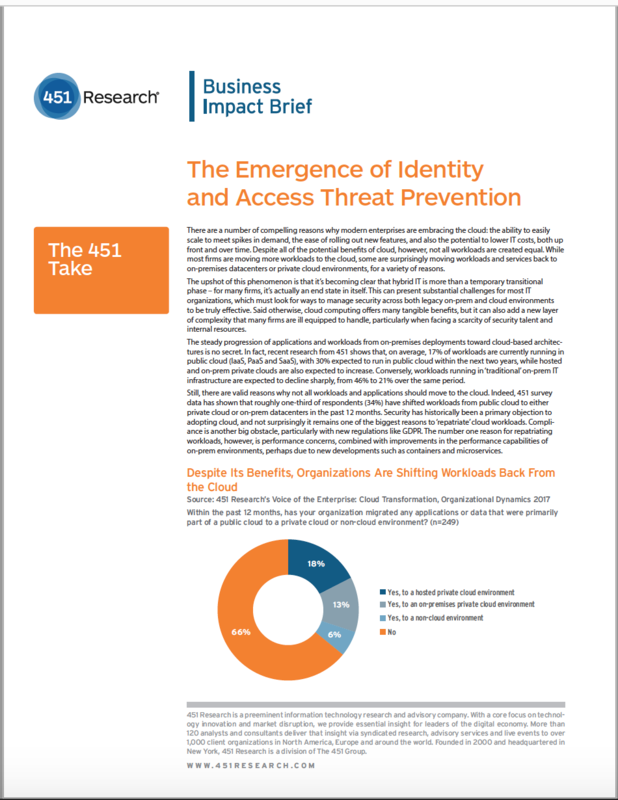 Identity and Access Threat Prevention is emerging to help organizations support this new reality. - Best Execution Venue: where should applications and workloads reside? Delivering the market's first Identity and Access Threat Prevention platform. We help customers preempt security threats in real time based on identity, behavior and risk.